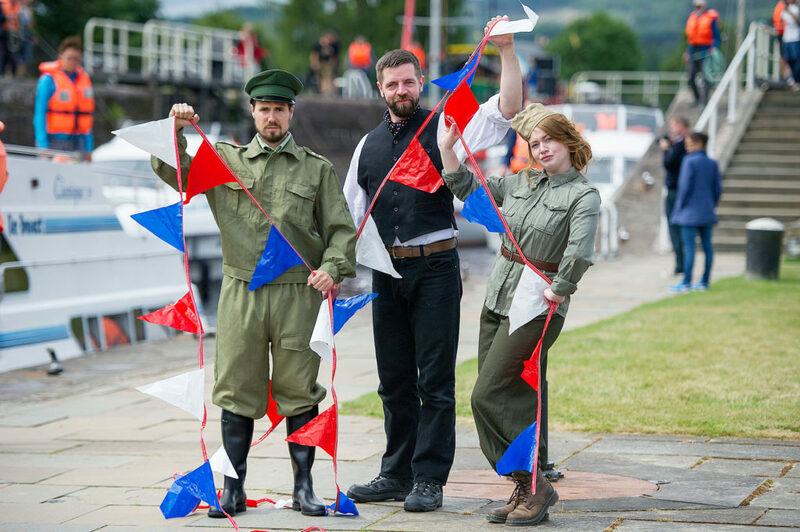 Gratis Editorial Photo Move over, Outlander  Canal Theatre brings the story of the Caledonian Canal to life in Fort Augustus Fort Augustus, at the heart of the Great Glen, will become Scottish Canals latest outdoor pop-up theatre venue this summer. 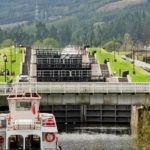 Waters of Time, the new bespoke Canal Theatre play produced by The Walking Theatre Company, is set against the making of the majestic Caledonian Canal and uses the impressive Fort Augustus lock staircase as its stage. The cast will bring the magic of the canal alive as they take visitors on a journey through time, exploring the canals history from the times of Napoleon through to the present day. The new Canal Theatre programme celebrates the opening of Scottish Canals new Caledonian Canal Centre in Fort Augustus. LEFT TO RIGHT : Alfie Wellcoat, Euan Cuthbertson & Innes Anderson, from The Walking Theatre Company at The Caledonian Canal, Fort Augustus. Waters of Time, the new bespoke Canal Theatre play produced by The Walking Theatre Company, is set against the making of the majestic Caledonian Canal and uses the impressive Fort Augustus lock staircase as its stage. The cast will bring the magic of the canal alive as they take visitors on a journey through time, exploring the canal’s history from the times of Napoleon through to the present day. 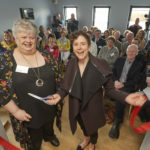 The new Canal Theatre programme celebrates the opening of Scottish Canals’ new Caledonian Canal Centre in Fort Augustus, a visitor and destination hub which opened in May. The centre offers new, year-round, facilities for visitors and locals, including information, a gift shop and a cafe. 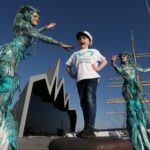 The creation of the centre was supported by VisitScotland and the Heritage Lottery Fund Scotland, and was awarded £237,500 of Coastal Communities Funding. This contributed to the £1.2 million redevelopment of existing vacant premises in Fort Augustus, bringing the redundant building back into a productive and sustainable use.